My sister and her hubby came to visit from Sydney – which meant FAMILY FEAST! 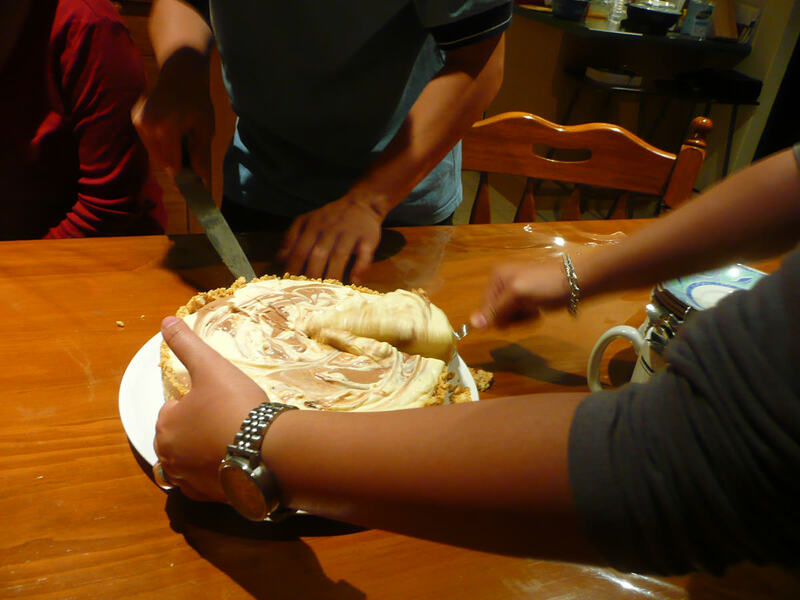 We all got together at my parents’ home for some serious eating. 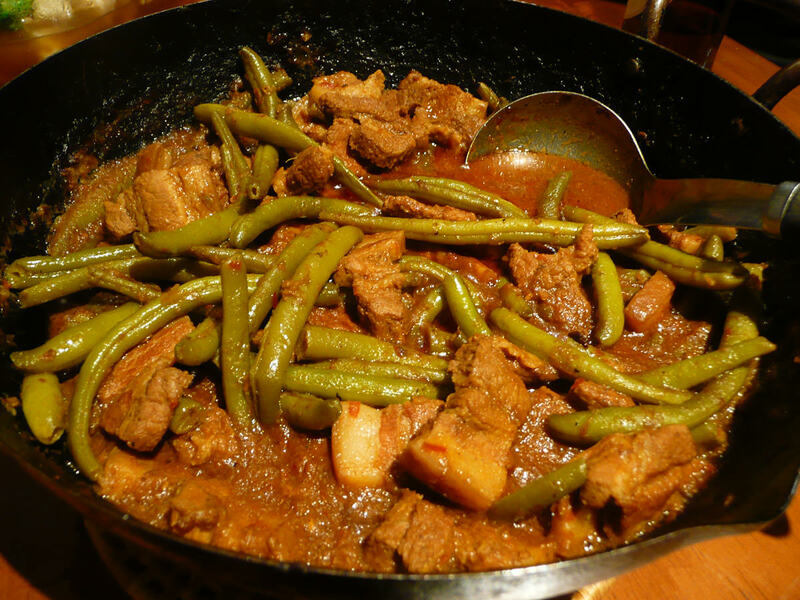 Mum made a hantu curry with pork belly and green beans. You are supposed to use snake beans in this dish, but the snake beans were really expensive this time around – so Mum used green beans instead. I think this was most people’s favourite dish of the evening. I loved the layers of fat on every tender piece of pork. My younger sister Juji sliced the Japanese egg tofu and arranged it on a plate. The tofu was then topped with chopped fresh spring onions and coriander, and fried garlic and oil. 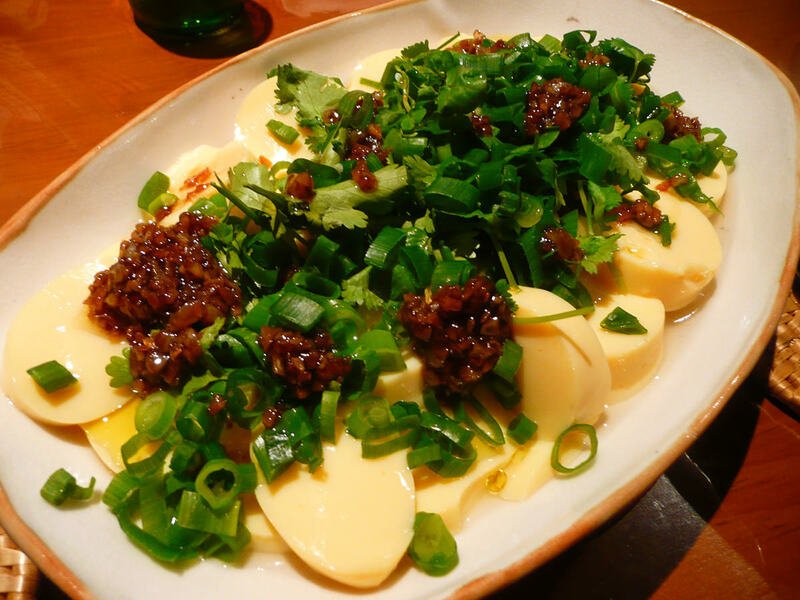 The tofu was silky and soft and tasted wonderful eaten with the fragrant garnish. 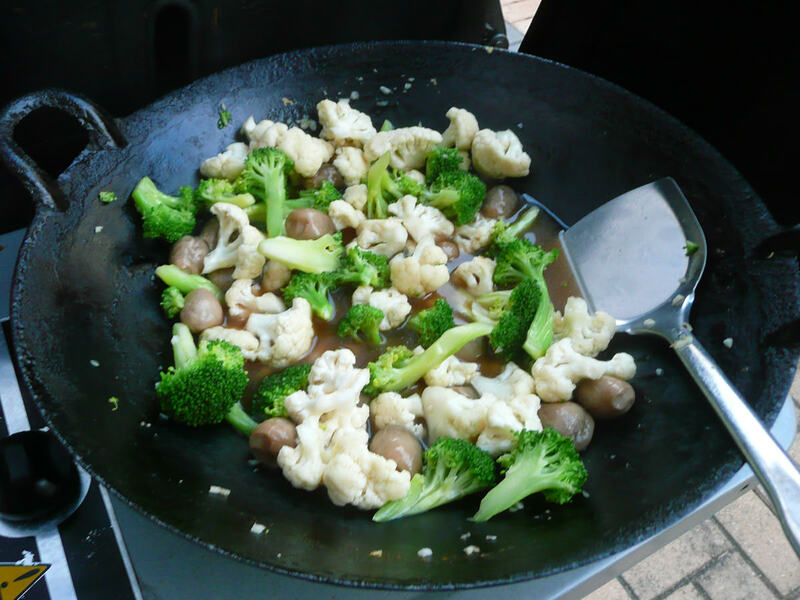 Juji cooked a few of the dishes on the wok burner on the barbecue outside on the patio. 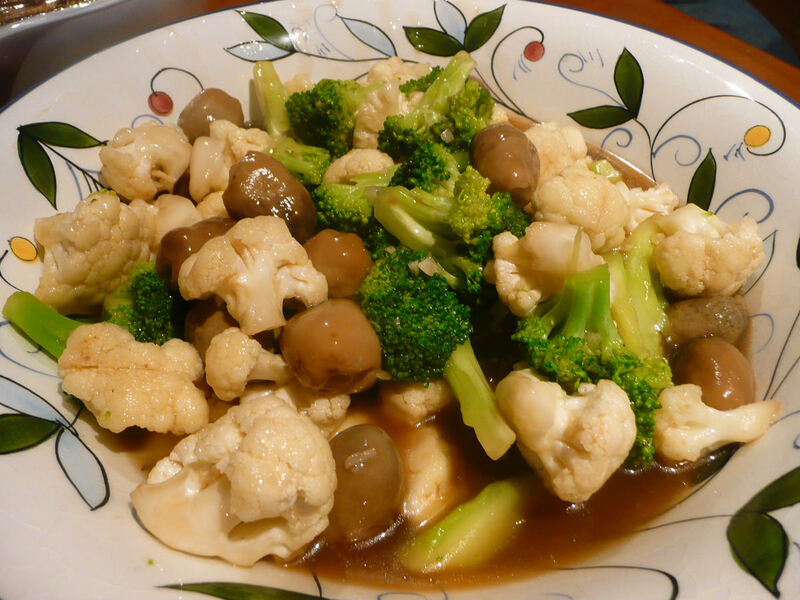 This was the stir-fried broccoli, cauliflower and straw mushrooms. 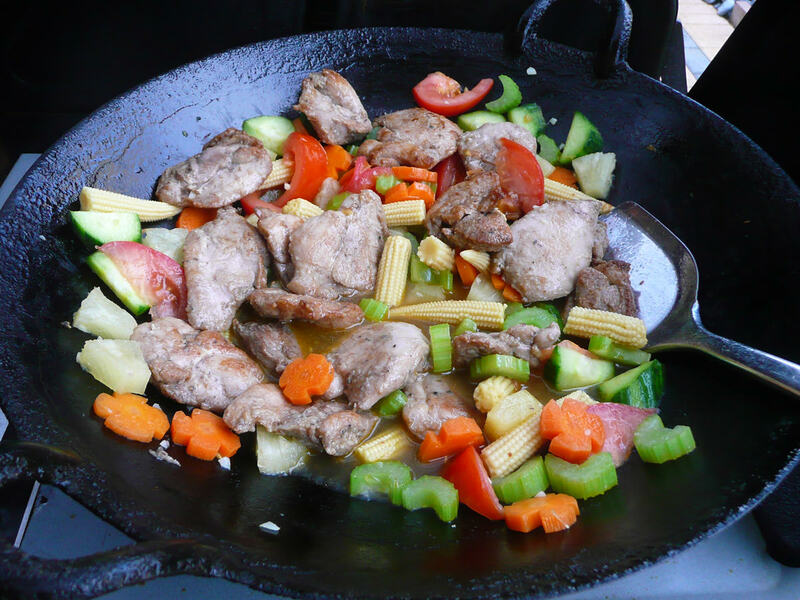 Juji also cooked the sweet and sour chicken on the barbecue wok burner. 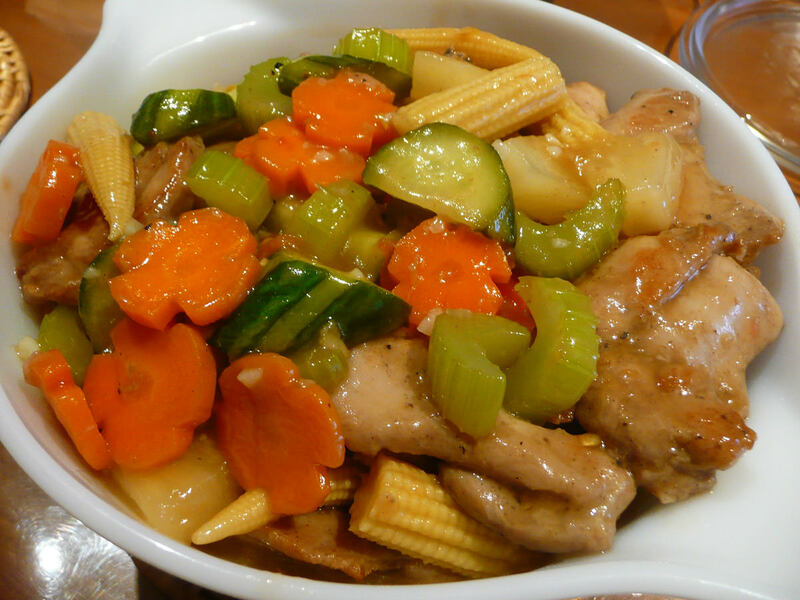 In the dish were chicken thigh pieces, carrot, red capsicum, celery, cucumber, baby corn spears and pineapple. 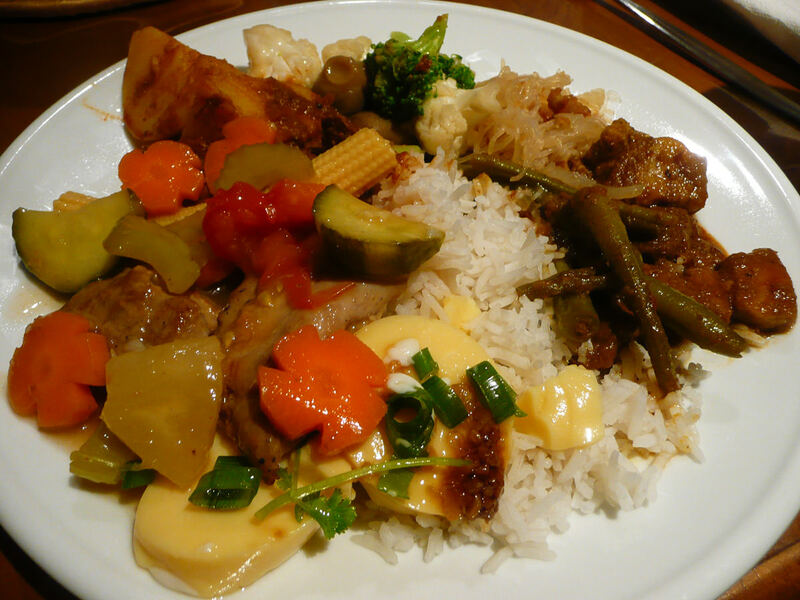 The sweet and sour sauce was delicious, the vegetables crisp and the chicken succulent. This was my favourite dish of the night, the pork hantu curry a close second. 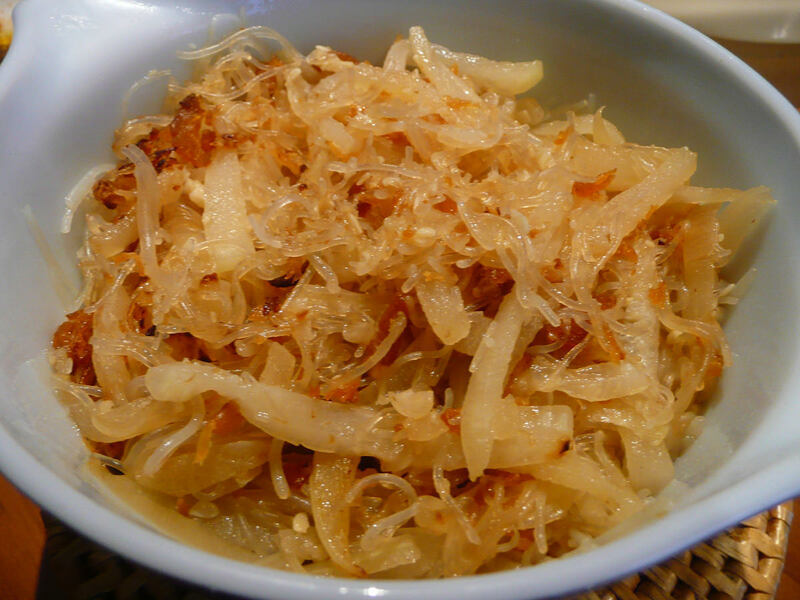 Mum cooked a small dish of winter melon with vermicelli and dried shrimp. The dried shrimp (har mai) gives the dish a distinctive (some might think smelly) aroma and flavour. 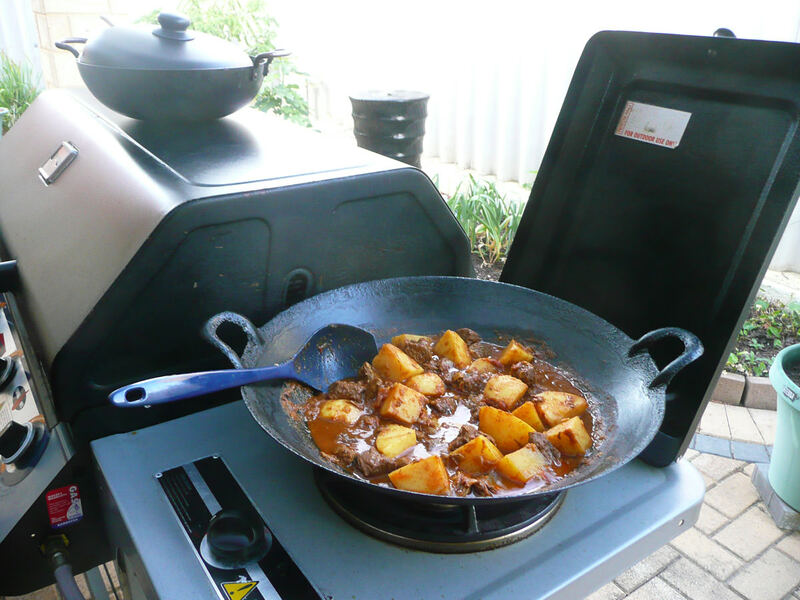 Mum had cooked a kangaroo vindaloo curry – she heated it up in the wok on the barbie as well. It smelled great. 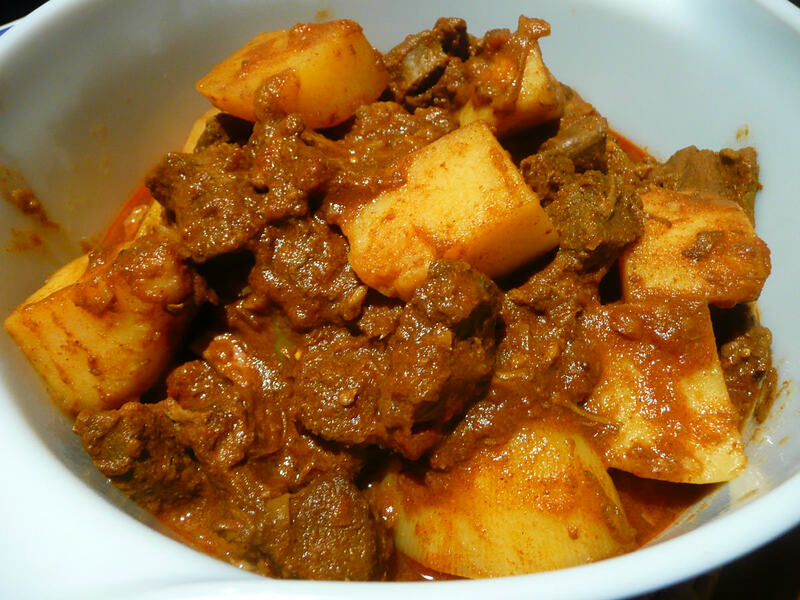 I don’t eat much red meat these days, but I did have some kangaroo curry. It was too good to pass up. I loaded my plate with a little of everything. 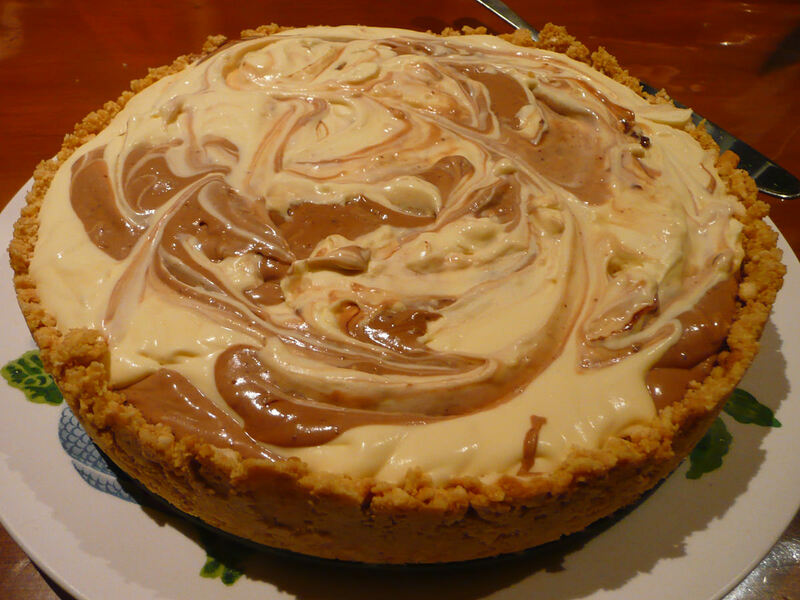 Juji warned us to leave room for dessert which she’d made – a Nutella cheesecake! 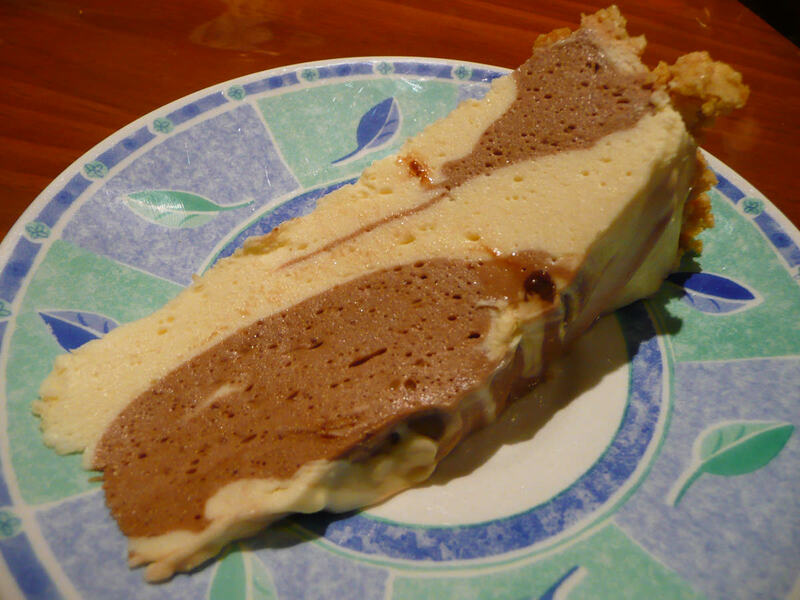 The Nutella cheesecake was quickly sliced and served… by two people! 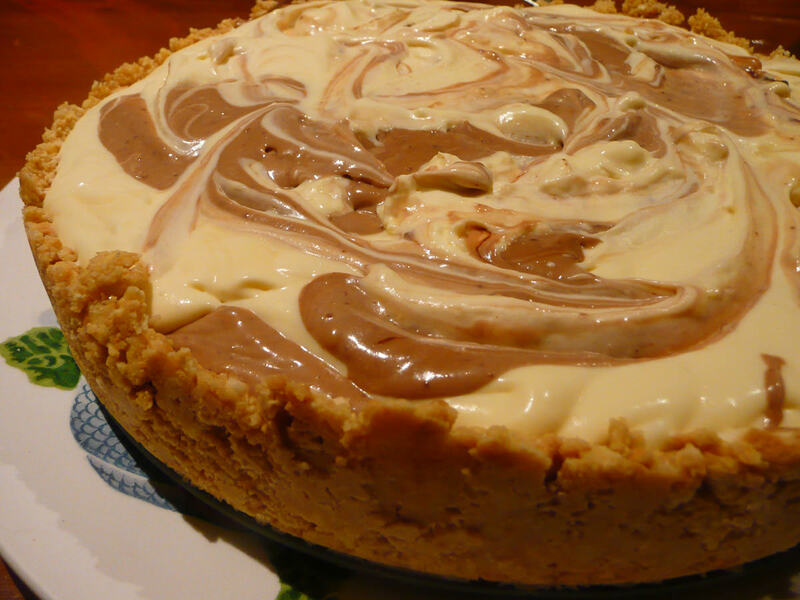 The cake was sweet and smooth and creamy – a lovely way to end the meal.